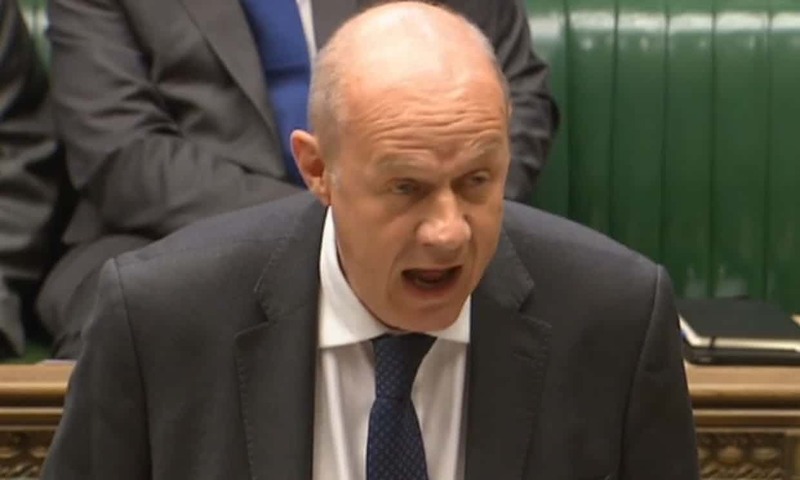 Damian Green’s claim that the minority Tory government is abiding by Parliamentary rules is easily dismissed. In fact, The Guardian does so in its report (quoted below) – pointing out that governments in the past have abided by the decisions made during Opposition Day debates. That is why the Gurkhas were given new rights to live in the UK after Gordon Brown’s government lost a vote in 2009. The real reason the minority government won’t act is also in the excerpt below – Theresa May doesn’t want the divisions in her party to be exposed. That’s why she has instructed her MPs to abstain. But Sarah Wollaston still voted with Labour on this issue, and she wasn’t the only one to speak against the current policy, so Mrs May’s strategy has failed. Quelle surprise! Remember, the EU referendum was called, by former Tory leader David Cameron, to end division over the UK’s membership of the European Union. And look how well that has ended! So Mrs May is the tyrant that Edward Leigh warned her against becoming. She has ignored the will of Parliament – contrary to the recognised convention – in order to push a narrow agenda that is not supported by the people of the UK. And she is determined to continue working for the benefit of a tiny minority – inflicting huge suffering on the rest of us – for as long as possible, whether we support it or not. She must not be allowed to continue. How do we get rid of her and her party? Theresa May’s deputy was forced to deny on Thursday that her minority administration was ignoring parliament after the government said it was not bound by an overwhelming vote calling for the rollout of universal credit to be paused. Labour’s motion, which called for the controversial welfare reform to be halted while glitches are fixed, passed unanimously on Wednesday night after Tory whips told their MPs to abstain. Past governments facing defeat in the Commons on so-called opposition day motions have tended to shift policy as a result. Gordon Brown’s government, for example, gave Gurkhas new rights to settle in the UK after it lost a vote on the issue in 2009. May, who has only a fragile governing majority, has adopted a strategy of urging MPs to abstain on opposition day debates, rather than see the divisions in her own party exposed by a series of embarrassing defeats. This is not democracy it is DEMONOCRACY! The only thing Teresa May is interested in is herself. She hasn’t the intelligence to see what harm she is doing not only to the country but also to herself! This was a vote the tories lost, so why is it not binding? Any vote in parliament shows the will of the people as voted by the people’s representatives in parliament. When this government falls it will fall a long way.